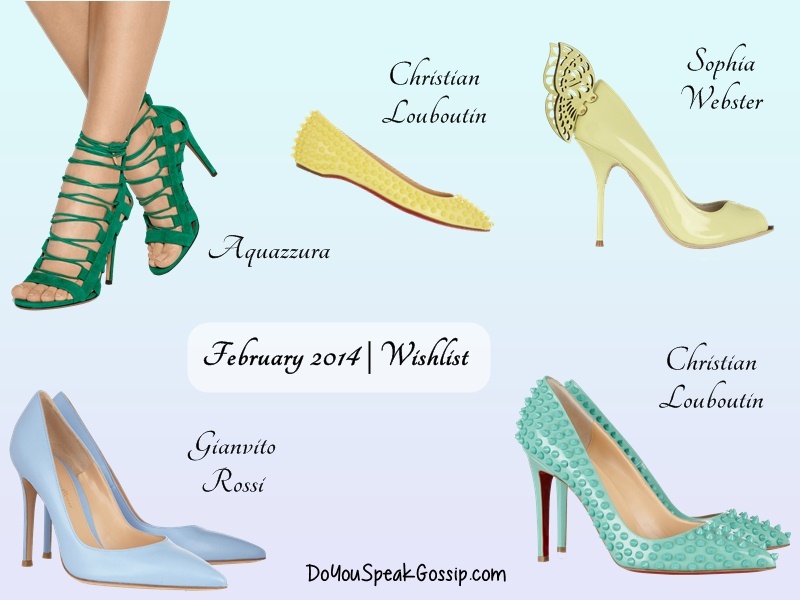 Christian Louboutin Archives - Do You Speak Gossip?Do You Speak Gossip? It happens every February… We’re in the middle of winter, and I’m already looking for the door out of it, and into spring. I can’t stand the cold; I’m a spring girl after all! This is my way of escaping… By looking at gorgeous but overpriced, pastel-colored shoes from the upcoming season. I wish I had all the money in the world to indulge in these ones, but I don’t, so I can only dream of them, at my current budget. Net-a-porter always has the most drool-worthy shoes. *sigh* Which one is your favorite ? What’s better than a new wishlist to start off this month? It’s been somewhat of a tradition for this blog, to have a wishlist as the first post of the month. And this month couldn’t be an exception. However it was hard for me to find items for this month’s wishlist. I don’t know why, but I’m not so much in a shopping mood lately. But, fear not, I did find some great items for this month as well, and I present them to you below.